Casumo has made its way across the shores from Scandinavia and become a strong force on the online casino market in the mere 6 years it has been trading. Its rise has been something close to meteoric – and mostly because it comes with over 860 casino games – and 37 different jackpots. The question for the rest of this review will be: does quantity mean quality? Is it enough to be a monster of a site if the other elements might be missing? Before we get into the nitty gritty of this Casumo casino review, let’s begin with some facts. Even though Casumo is based in Malta, the site is licensed under the UK Gambling Commission and works under the strict requirements of their licensing. It recently won a marketing award for its twerking Casumo mascot and, in the UK, it signed a sponsorship deal with Wembley Stadium. Casumo is also known for creating 5 millionaires in the last few years – with the most recent winning nearly 5 million in March 2017. Obviously, this sort of win creates day dreams in the minds of all players and is a major positive for any Casumo casino review. Casumo wanted to produce the first casino adventure for its users. We wonder if this means that you get so lost in the sheer volume of games that you need to find your way back. We are not sure this is the sort of adventure we yearn for. The site is jam-packed and the search criteria on the site is by type of game. As 780 of the games are slots – it makes you wonder how you will find your way to some of the superior games – such as Slot o’Gold, Mega Moolah or Jurassic World. Generally, the site is well designed and easy to navigate but it is not one that immediately blows you away. It sits in a strange middle ground between a traditional casino site and one attempting to take advantage of the gaming generations obsession with consoles. Worth mentioning from the start in this Casumo casino review is that the company won Mobile Casino of the Year award in a recent EGR Operators awards. Why? 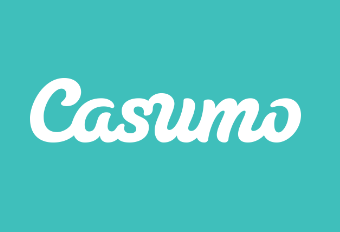 Well, the Casumo mobile app is one of the most intuitive and functional of apps – and it is also beautifully designed. There is little more impressive in current times than to have an outstanding mobile app. People want to play on the move – and are more than likely going to play on their tablet than on a PC or Mac. The casino is right to prioritise its mobile offering in this way – and should be applauded for being so forward looking. The live gaming experience on the site is also top notch. A particularly wonderful Casumo welcome bonus is the partnership with Evolution Gaming – award winning developers of Live Dealer Games. This elevates the online casino experience – as you feel as if you are live in the room with the dealer without even leaving the house. Casumo Live Casino experience is one of the best out there. Any Casumo casino review should focus on the monstrous collection of games on one site – there are a mammoth 850+ games to choose from. The catch? 780 of these are slots – yep – variety in slots there might be – but variety across the selection of games not so much. The basic functionality of the slots is also pretty similar – therefore – there is quantity without there being a lot of choice. There is difference in theme, jackpots and games within the slots for bonuses. However, these tend to all follow the same basic template for a slot – as you can imagine. If you want to know the name of the game that led to the millionaire players – check out Hall of Gods – but be ready to play lots to get to this sort of total. The good news is that the site offers plenty of free and bonus spin features. Although there are realistically only 67 other games on the site – so not really a large amount of choice – the slot experience on this casino is second to none. It can almost help you forgive them in a Casumo casino review for having only 9 video poker games. To be fair to Casumo – those games that are not slot are well selected – and provide the best experience of these other casino games. The roulette section, for instance, contains all your favourite variations – including American, French and Live. There is also Monopoly Roulette Tycoon – which is one of our favourite offshoots of the game. The Casumo welcome bonus can total up to a handy £300 of free wagers. There are the normal terms and conditions attached to this bonus – and it will take a lot of betting to hope to get any of this money into your bank account. We believe you should view the Casumo welcome bonus as a Casumo welcome bonus that helps you play lots and become experienced – rather than one that instantly offer you potential pay outs. What Casumo does better than most other casinos is offer free play to new users to get used to their environments. This is a much more transparent Casumo welcome bonus – as it serves the purpose of giving experience to punters who don’t get disheartened if they lose too much money too soon. The selling point of Casumo would seem to be the volume of games – but this is slightly misleading. The site is better known as the leading slots casino – with some other games offered too. There is nothing wrong with this – but as an honest Casumo casino review – we should make this clear.